We proposed heavily doped silicon between insulators (HDSBI) MOSFETs to improve electrical characteristics of local BOX MOSFETs by using simple structures that combine local BOX regions with additional doped regions. HDSBI MOSFETs have heavily doped regions between local BOX regions, in which acceptors or traps are introduced. 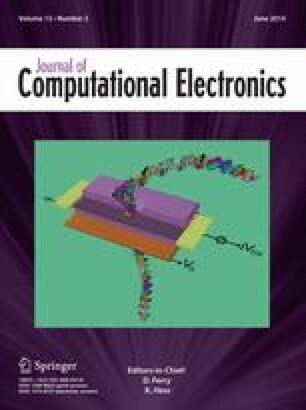 Simulated electrical characteristics demonstrated that they can suppress the SCEs and the kink effect, as well as the self-heating effect (SHE), which is suppressed by conventional local BOX MOSFETs. We elucidated how the additional doped regions in HDSBI MOSFETs suppress the SCEs and the kink effect. We concluded that HDSBI MOSFETs are suitable for applications, such as multi-purpose system-on-chip on which both short-channel logic circuits and high drive current circuits are integrated. This work is supported by VLSI Design and Education Center (VDEC), the University of Tokyo in collaboration with Synopsys, Inc. The part of the device simulations has been supported by Y. Miyazawa.